Very often hard surfaces such as sinks, bathtubs, and countertops will take years of abuse with very little actual maintenance done to keep them looking their best. Most homeowners will clean them regularly but that is rarely enough to prevent wear and tear from accumulating over the year. 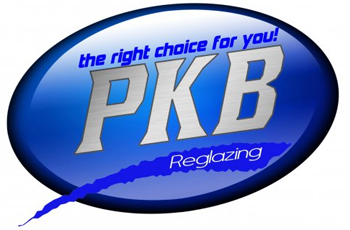 A new glaze by Phillips Kitchen and Bath Reglazing can provide a new look to any bathroom or kitchen. Philips Kitchen and Bath Reglazing is dedicated to providing the Santa Clarita Valley, as well as a majority of Southern California, with high quality reglazing work from experienced and highly trained contractors. A new glaze can help completely modernize and improve the look of any kitchen or restroom without the need for any major changes or overhauls. Countertops often make up a large portion of your kitchen and are constantly in use in the Santa Clarita Valley. Constant uses results in colors fading, edges and corners chipping and cracking, and general wear and tear are fairly common after sometime, however completely replacing your countertops can be expensive and time-consuming. Philips Kitchen and Bath Reglazing is able to provide you with countertops that will look brand new and completely change the look of your kitchen without needing to replace one thing. A simple reglazing can even offer clients the chance to choose different colors for countertops, with dozens of colors to pick from such as both solid colors and a selection of speckled colors. Changes like this can create a kitchen that looks completely different and renovated without replacing anything. Helping to improve not only the appearance but also the function of your kitchen, Philips countertop reglazing is a great move for this looking to improve their kitchen without having to break the bank. One great way to improve the look of your bathroom is through Philips bath and tile reglazing and resurfacing, which can allow you to take dated, dirty, cracked, or just worn bathrooms and completely revitalize them both in appearance and in quality in a quick affordable manner without the need to replace anything. Going from dirty, old, faded yellow to a brand new, pristine and shining white is as easy as a phone call with Philips Kitchen and Bath Reglazing.